Saints Tirugnana Sambandar, Tirunavukkarasar and Sundarar had sung the glory of Lord in their Thevaram hymns. 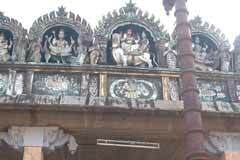 This is the 20th Lord Shiva temple on the northern bank of Cauvery praised in Thevaram hymns. Lord Shiva is a swayambumurthi in the temple where Lord directed Nandhi to move to enable Nandanar a noted Shiva devotee to have His darshan. The temple is open from 6.00 a.m. to 11.00 a.m. and from 4.00 p.m. to 8.30 p.m.
Sri Shivaloka Nathar Temple, Tirupunkur-609 112, Nagapattinam district. 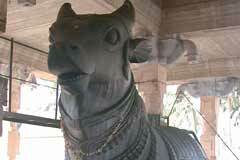 The name of the place Tirupunkur comes from the name of the sacred tree of the temple Punga Maram. This is an ancient temple. 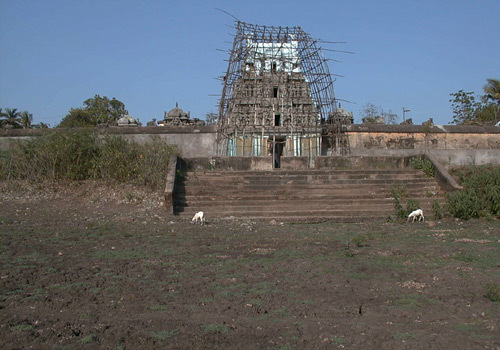 Renovations of the temple were carried out during the period of Rajendra Chola. 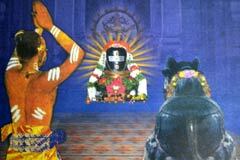 if to receive Nandanar the choice devotee of Lord. There is a shrine for Kulam Vettiya Pillayar meaning Lord Vinayaka who dug the tank with the help of Boodhas in a single night to enable Nandanar to have his bath to be blessed with the darshan of Lord. 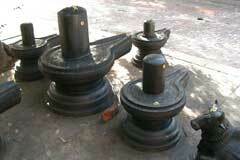 Miracle Based: Lord Shiva in the temple is a swayambumurthi. Tirupunkur is 15 km north of Mayiladuthurai. Bus facility is available from Mayiladuthurai and Sirkali. The place is 15 km far from Mayiladuthurai, 3 km from Vaitheeswaran koil and 60 km from Nagapattinam.